Giving socks as a Christmas present is generally regarded as a no-no, but we beg to differ! Anyone who cycles will tell you that a good pair is a real treat. We love these stripey top ones from Strutt Velo, but if they are not exactly right for you try these tasty ones from Rapha or the lovely Vulpine Merino socks here, both are £15. 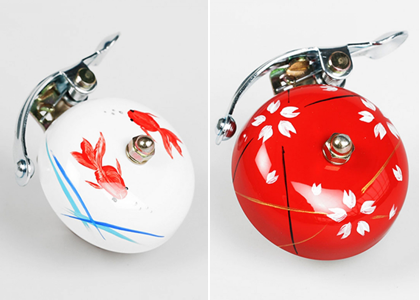 These beautiful bells are handpainted in Osaka, Japan and feature traditional designs. Attaching the bell is easily, all you need to do is place the bracket around the handlebar and tighten the screws with a screwdriver. If you like the style but would prefer something plainer click here. Ding Ding! Urbanist Cycling’s Bettie chamois-padded knickers are the answer to any cycling commuter’s prayers. Beautifully cut to fit and enhance the female form, they’ve been tested tirelessly by the Texas cycling community where Urbanist is based to ensure no chaffing or digging in. The material is sumptuous, whilst the chamois pads come from one of Italy’s most respected chamois designers. Available in two styles Bettie (above left) for distances of under 15 miles, and Brigitte (above right) for journeys of more than 15 miles. We’ve tested the Bettie and LOVE THEM, even jeans with their rather unforgiving crotch seams (you know what we are saying) are now a breeze! 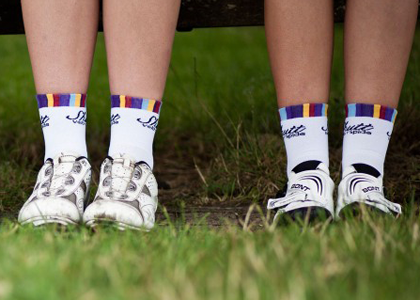 We’re just looking for a longer commute so we can justify getting a pair of Brigitte’s too! 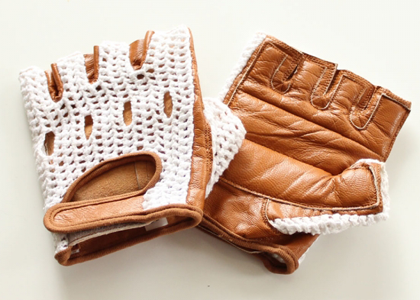 Even the most serious of cyclists will like a good pair of retro cycling gloves. These lovelies are made from beautiful soft leather and come in 3 classic colour-ways. 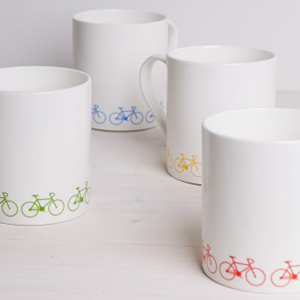 You don’t need to be a cyclist to like this stylish Ginger & French bike mug, it’s made of high quality bone china and is available in a set or individually in eight different colourways. Lovely! 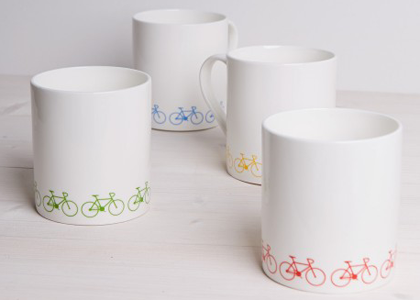 If you like the idea of a mug but want some more choices, take a look at this one from Rapha (£20) and this one by Hannah Stoney at £9.95. 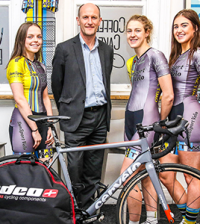 finally gear for women with a fuller figure – Fat Lass At The Back aka FLAB, have re-designed the standard women’s cycling jersey template to create curve friendly, flattering gear in sizes 8-26. 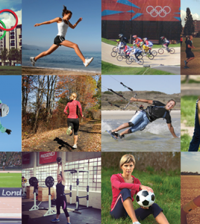 The gear has been gently tailored and has a longer length to make sure you are not left feeling exposed. 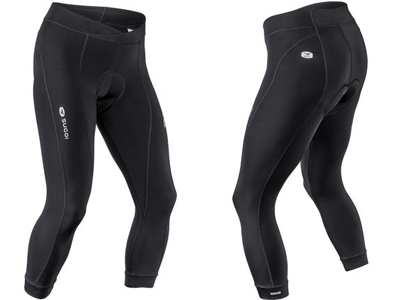 Style Nippy (pictured above) also features black side panels that help to slim the body shape. What a great idea! It’s hard to choose which item from the Michaux range we love most, even the reflective tassle keyring is super lovely. 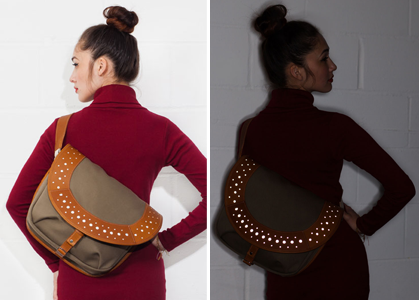 However, we’ve decided to illustrate this fab brand with one of their original Zodiac shoulder bags – part commuter/courier bag, part handbag – we love the practical yet stylish design that even features reflective detailing in the leather trim. 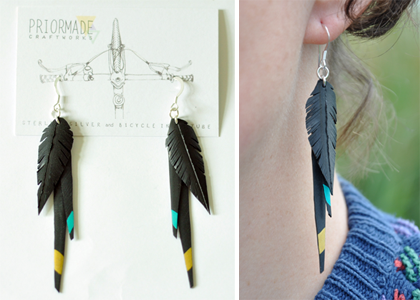 It’s available in two sizes, medium or large and three irresistible colourways. This bag is top of our wish list! 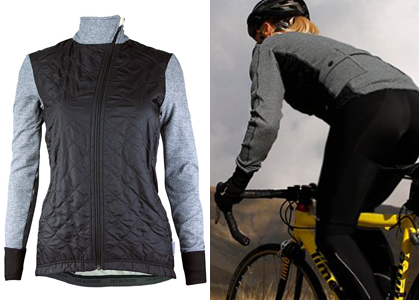 It’s no secret that we are big fans of French brand Cafe Du Cycliste, this Heidi winter jacket is yet another superb example of performance cycling kit that has been designed to the highest specifications whilst also looking good enough to ride into town in. The quilted, windproof front combined with shoulder panels will help keep biting winter winds out, while a polyester/polypropylene weave works to keep you dry and wick away sweat. The brushed interior is incredibly comfortable on the skin and the two cargo pockets and a large zipped pocket provide enough storage for fuel and goodies on those long winter rides. How lovely!